This will sound familiar to a lot of people. You’re in the backseat during a long car drive and you’re wriggling about trying to find a comfortable sleeping position. Eventually you usually end up in a position the doctor would definitely not advise, leading to the inevitable sore neck. 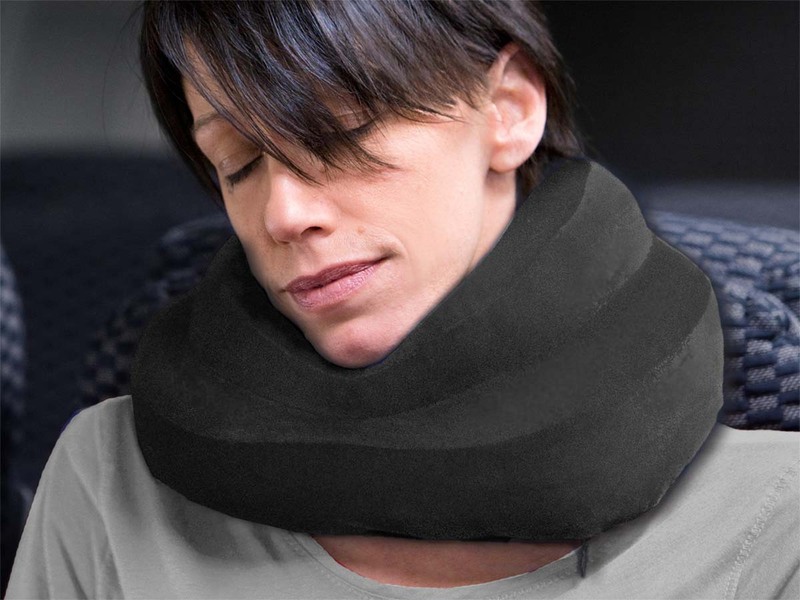 With this travel pillow, you will be able to sleep like a baby, no matter where you are. The memory foam adapts perfectly to your sleeping position. The extra support at the sides makes sure your head doesn’t wind up in an unnatural position. You can even use the adjustable toggles at the front to add support for your chin. No travel pillow is complete without some music for on the road. 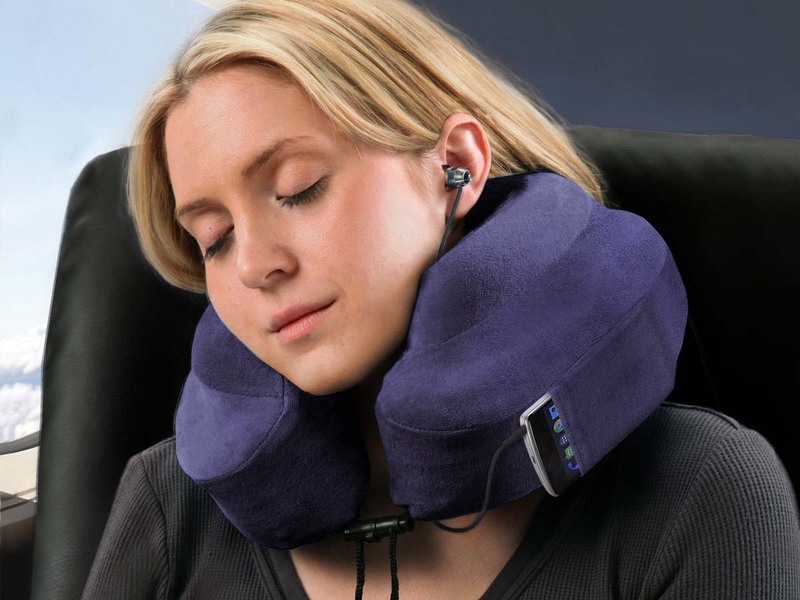 The Evolution neck pillow comes with Styrofoam earplugs so that you can close yourself entirely off from the world. Your smartphone or mp3 player will fit perfectly in the special pouch on the side. 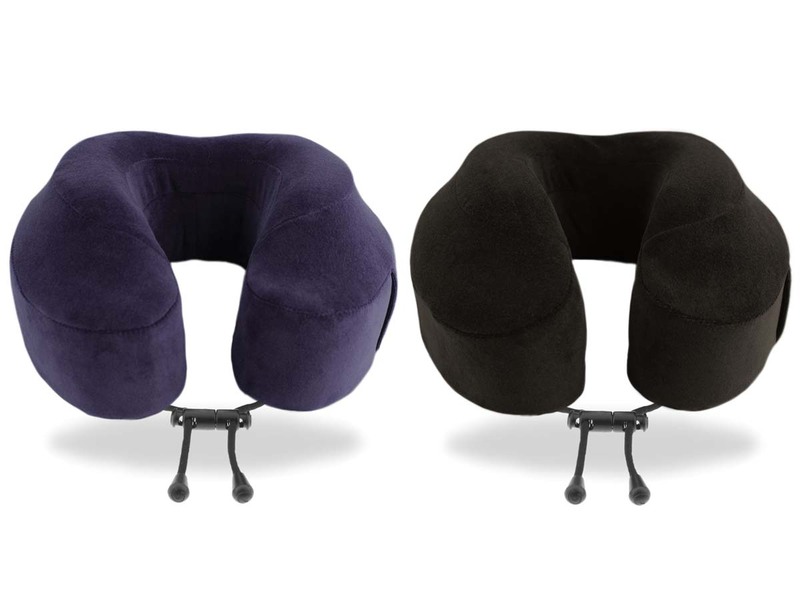 The ultimate travel pillow - for travelling, on the beach or why not when you’re just at home? 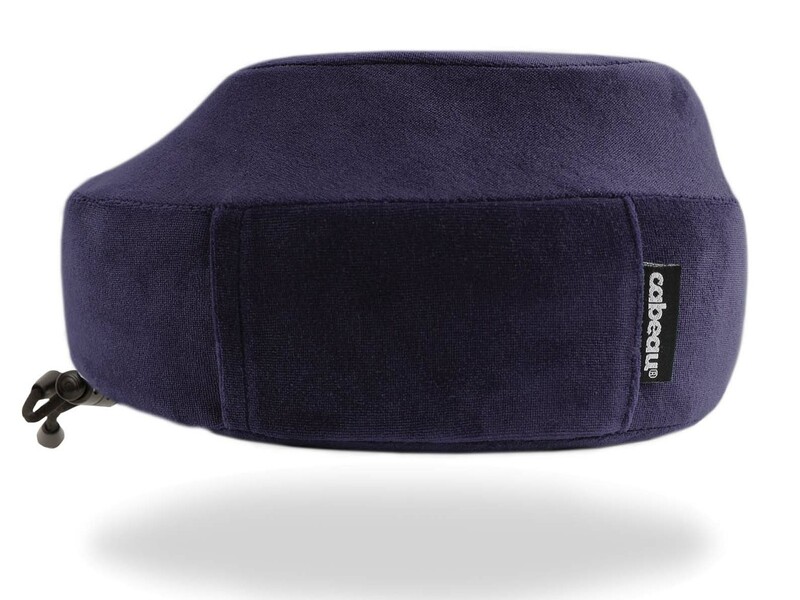 Responsive Memory Foam: a comfortable head support (memory foam) that adapts to your position. Raised Side Supports: extra support at the sides to prevent your head from tipping while you’re asleep. Adjustable Sliding Toggles: the adjustable toggles for tying the neck pillow up for extra support for your chin. Machine Washable Cover: you will always be able to travel with a clean pillow. Case is easy to remove and is it can go in the washing machine.